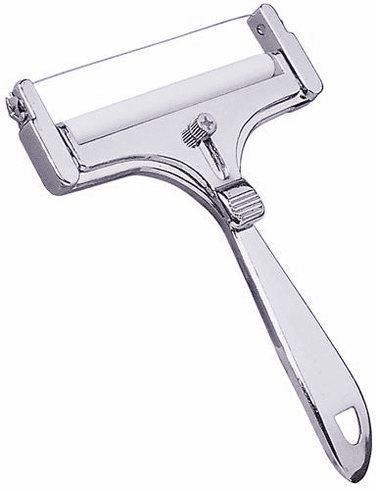 6" Cheese Slicer with Adjustable guide for thick or thin slices. Adjustable wire makes slicing easy. Hand washing recommended."